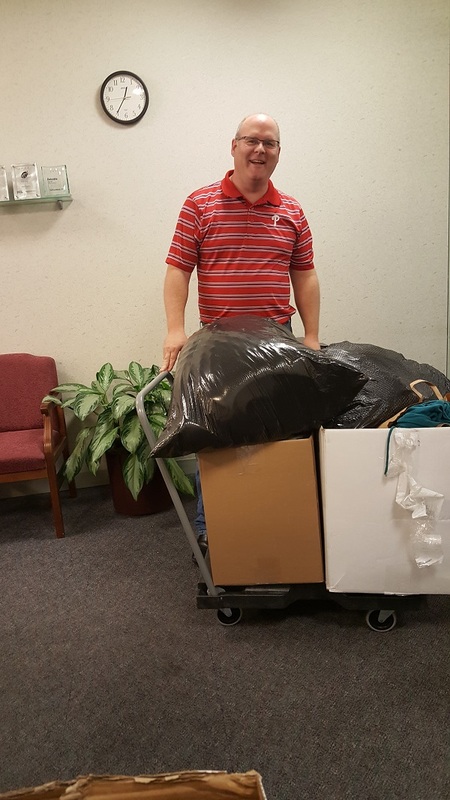 Carl Zentmayer, our Operations Manager, tapped into the generosity of SofterWare staff to help donate clothes and other household items for the Doylestown Tigers Baseball fundraiser with Impact Thrift Store. Carl donates his time to the team, and the team wanted to do good for the community. In total, the Tigers collected 5,960 pounds of items worth $708.50! Carl is wheeling out his haul of collected goodies from SofterWare to his truck.